I’m ambivalent on this, well I’m the sort of person that would give his right arm to be ambidextrous, but would i still be? People get lost in tall buildings because of zero indexing of the floors / levels / storeys. During the town planning stages Ground Floor is usually ( in most countries ) exempt from rateable floor area because it is there anyway without the building. So it gets to be floor 0. The lift manufacturer gets handed the specification for marking the floors, depending on who that spec came from; the architect or the builder. I think the comments about “close to the machine” and mentioning the number of indexing modes are on point; that is surely the impression I got of BCPL, way back when. would allocate memory for cells at addresses A+0 through A+N; that is VEC N allocates N+1 cells. My memory of string addressing in BCPL is a little hazy, because cells were typically larger than bytes, and I have a distinct recollection that their length did not exceed 255, because the byte zero contained the length. And though I recall a desire to be “close to the machine”, there were was also INTCODE, for interpreting BCPL, and at one time students used a machine whose entire operating system (OS6) was executed as INTCODE (for a 15x performance penalty — _The Computer Journal_, 15:2, p.118 ). My copies of other Historical Documents are at work, not here, but you might be amused to know that one summer I worked at IBM San Jose Research Labs, and hacked up an interpreter for Backus’s FP84 — in BCPL, on VM/CMS. The BCPL port to OS/360 and VM/CMS was quite nice, and gave clean access to many features of the OS. Thanks for digging this up! From the comments it is certainly polarizing, as in 0 against 1. I think of 0-based indexes to be pointing to the boundary, between the array elements, and 1-based indexes to be pointing to the center of the array elements. Clearly bytes should be one-based: they have 256 possible values, and they are most easily counted 1,2,3…256. 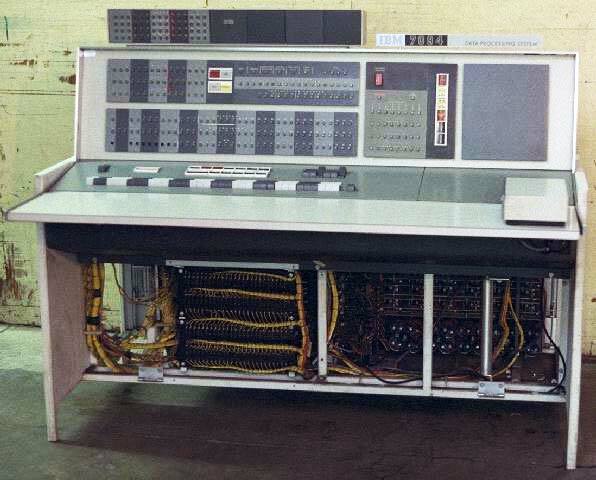 I wonder who first came up with the idea of zero-based bytes? Ah, I was waiting for the elevator argument. I remember in Siemens (who invented the electric elevator) office buildings they start numbering floors with 2 at the ground floor, even if there are no floors below. For Siemens employees this seemed very natural. As for IEEE and ACM … yes, it’s highly ironic how this field completely fails to leverage the technology it has created for advancing itself. As for your array index rant, though, it seems to me like you missed the point. First, let me point out a myth that you are perpetuating: “first” does not mean “the element with index 1”, you are mixing up ordinal and cardinal numbers there. “First” means “the element that has no predecessor”, which would be the element with index 20 for an array that is indexed starting at 20, the element with index 1 for an array that is indexed starting at 1, the element with index -42 for an array that is indexed starting at -42, and the element with index 0 for an array that is indexed starting at 0. Or to give an even more illustrative example: “A” is not the “Ath letter of the alphabet”, it’s the “first letter of the alphabet” – indices are simply names, possibly with some defined order, and there is no fixed relationship between those names and the ordinal numbers specifying their position in the respective order. Thus, there also is no such thing as “zeroth”, other than in some colloquial or highly confused use. Your confusion in that regard probably stems from the fact that the most common everyday use of ordinal numbers is for referring to elements of some collection of (material) objects, and it so happens that in a collection consisting of a single object, that object is the first object (its ordinal number), and the corresponding size of the collection is 1 (a cardinal number), if you add a second object, the size of the collection grows to 2, and so on. So, “1” and “first”, “2” and “second”, […] tend to coincide in this manner, but that really is not much more than a coincidence. Now, it also so happens that most programming languages do not distinguish explicitly between ordinal and cardinal numbers, but rather just use some subset type of the integers both for arithmetic and for naming elements of arrays. As such, they need to define some mapping between the two uses – which usually happens by simply designating some cardinal number to be the index of the first element of an array and using the same order for both. From that it may seem like any choice would really be as good as any other, it’s just an ordered set of names after all, isn’t it? Well, yes, and no. Many commenters refer to matrix algebra’s use of 1-based indices. If you think about it, that really is just an exercise in naming and ordering, you might as well use letters as indices, any sufficiently large ordered set would do. For this kind of use, it really doesn’t matter. It’s just one step up from a dictionary, in that the keys do have a defined order. But there is another use case for array indexing: Algorithms where you do arithmetic with indices – and algebraically, 0 and 1 are very different beasts indeed, and they are both very special, too, being the neutral elements of addition and multiplication and the absorbing element of multiplication. Whether indexing starting at 0 or starting at 1 is easier depends a bit on the data structure you are implementing on top of the array, though, depending on whether common relations between indices are multiplicative (trees) or additive (non-trees ;-). And yes, this abstraction is essentially “pointer arithmetic”, however you don’t need any kind of dynamic memory allocation in your language to do “pointer arithmetic” – any array index is a pointer, just relative to an array at the language level instead of to “the process address space” or “the physical RAM” (the former also being just an array built upon the latter array, more or less). As soon as you have one array, you can build other arrays upon it by adding offets, and you can do index (pointer) arithmetic for element access. I work on compilers (C++ and Fortran) for my day-job (yes people still (barely) paid to write them) and I have a bit of perspective on the issue. It’s not just a compilation time issue. Let’s tackle the reasons first. In binary, zero is the *first* pattern. There is the origin of the off-by-one error right there in my opinion. Everything else flows out of that choice. And it’s pretty much unavoidable, since zero needs some representation in the machine. There are two domains here: the integers, and the bit patterns representing them. Decimal digits have this problem too, but no one uses decimal digits in the way we use decimal digits. e.g., 0 is the first digit, then 1 is the second, third is 2. When we index arrays, we’re indexing with bit-patterns, not with integers. So why not just change the patterns to match how we expect? Registers hold bit-patterns, not numbers. And the number of bit-patterns a register can hold is a precious resource — using all of the bits in that register is important to people. If we 1-index (by doing a decrement on the index before dereference), then we throw out one whole bit-pattern as meaningless during address computations (the zero). Because of the decrement, index 2^n is not representable in a n-bit register, which means not all of memory can be reached by pointer arithmetic. Some people say ‘use the zero-pattern for that last element’. If you want to design a language that fixes this, the Fortran way is correct IMO. Let the user pick their bounds in the domain of integers, and provide sensible defaults. The language can flatten out to the domain of bit-patterns in the machine. This way the compiler can constant-fold the transformation to the under-ground zero-based-indexing. Also this approach generalizes out to multi-dimensional matrices quite nicely (perhaps with annotations about how to map the indexing domain to the bit-pattern domain for cache-line reasons — an optimization our compiler does routinely for Fortran code, but which is impossible in C/C++ code, another reason Fortran is still the fastest language we ship). Are you saying that the compiler converts x!y to something other than the machine equivalent of “load x+y”? Surely it can’t always pre-compute the sum. Unless your point is that inserting the “subtract 1” instruction would slow down the compile time more than run time? I feel like I’m missing some point that you think is obvious.